| Page 9 | ComTek Computer Services Inc.
Google Chrome engineers are working on a new customization feature that may introduce options to Chrome to set custom background images in the browser. The feature is hidden behind a flag currently in Chrome Canary and anything but stable at this point in time. Still, it may make its way into Chrome Stable at one point in time so that it warrants a closer look. Mouse Manager is a free program for Microsoft Windows devices that gives you full control over the functionality of the mouse buttons 4 and 5. Many computer mice have more than three buttons. While you can still buy a mouse with two or three buttons only, you may also buy mice with five or more buttons as well or other crazy designs. Especially gaming mice tend to come with a lot of buttons that you can map all kinds of in-game actions to. Microsoft published a new application for Windows 10 that adds support for Google's WebP media format to Windows 10 and Microsoft Edge. WebP is an image format developed by Google that supports lossy and lossless compression. Google announced the format in September 2010 and integrated support for the WebP format in the company's Chrome browser. Google claimed that WebP offers size reductions when compared to popular formats such as PNG that do not affect the quality of the image. Microsoft declared Windows 10 version 1803, the April 2018 Update, business-ready by moving it to the semi-annual channel. The semi-annual channel, previously known as Current Branch for Business, is a special update channel of professional and Enterprise versions of Windows 10. WinDynamicDesktop is a free open source program for Windows 10 that brings Apple Macintosh's Mojave Dynamic Desktop feature. Mojave Dynamic Desktop is a new feature of Apple's Macintosh operating system that alters the background image of the desktop dynamically based on the time of day. While Windows does support loading different wallpapers either natively, in Windows 10, or through third-party applications like Bcall, Wally, or Wallperizer, none as far as I know link the loading of wallpapers to the time of day. Google Duplex is a new experiment that Google launched recently in Google Chrome Canary for Android that adds a tools bar to the bottom of the screen. It seems that Google has been working on new functionality and interface changes in Google Chrome for Android and for the desktop for ages. Just this year alone, Google added experiments that added horizontal tab switching to Chrome for mobile, a new Picture-in-Picture mode, new Tab Page options, an UI redesign, and a lot more. 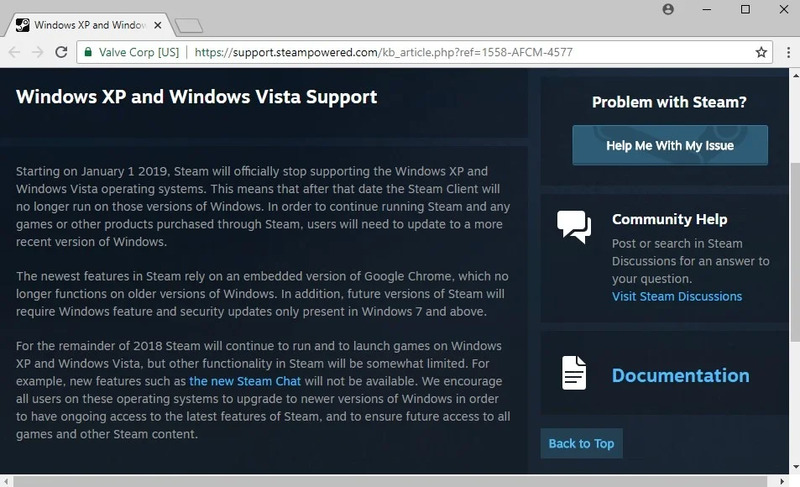 Steam users who run the gaming platform on devices that are powered by Microsoft's Windows XP or Windows Vista operating systems won't be able to run the client anymore from 2019 onward. Companies like Microsoft showcase computer technologies that can be used to predict outcomes of events regularly. The football World Cup 2018 starts today and it should not come as a surprise that Microsoft took the opportunity to predict the outcome of all group stage world cup matches. Microsoft announced yesterday that it plans to roll out an interface redesign for Office 365 in the coming months. Probably the biggest change the redesign introduces is a new smaller ribbon bar that the company believes is easier to use yet still powerful enough to provide users of Office 365 with the right tools to get work done. Trusted News is a brand new browser extension for Google Chrome by Adblock Plus's parent company Eyeo that highlights the credibility of content on websites with the help of MetaCert's MetaCert Protocol. If you don't know which news sources to trust, you may have come into contact with online services and browser extensions designed to assist you with that. Will Microsoft ship Windows 10 with a dark theme?